Air Sanih Singaraja Scenery & Natural Hot Springs. Air Sanih Singaraja Natural Hot Springs. 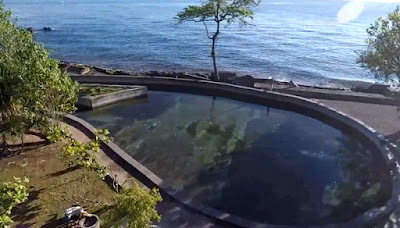 Usually this natural hot water spring is visited after watching dolphins on Lovina Beach. Because according to information obtained, this hot water provides therapy that calms and fades fatigue. The scenery at Yeh Sanih is also cool! 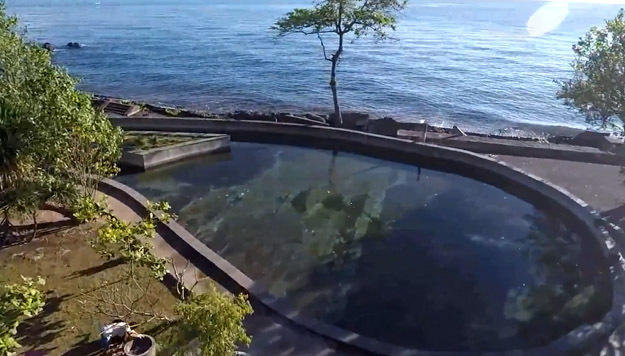 Imagine, you can soak in clear hot water while enjoying the view of the ocean. Yes, because this place is in the middle of green nature on the edge of the sea. To go to Yeh Sanih, you can take the route to Lovina Beach because of its proximity. From Kuta or Denpasar, take the direction of Kintamani, via Bedugul, then take the direction to Jalan Air Sanih. The beautiful charm of nature with the health benefits provided, will add to your holiday fun while in Bali.